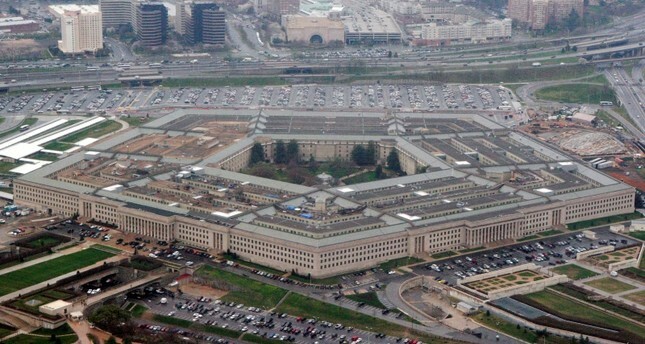 The U.S. military plans to cancel $300 million in aid to Pakistan due to Islamabad's lack of "decisive actions" in support of American strategy in the region, the Pentagon said Saturday. The U.S. has been pushing Pakistan to crack down on militant safe havens in the country, and announced a freeze on aid at the beginning of the year that an official said could be worth almost $2 billion. The Defense Department has sought to cut aid by $300 million "due to a lack of Pakistani decisive actions in support of the South Asia Strategy," Lieutenant Colonel Kone Faulkner said in an email to French Press Agency (AFP). The announcement came days before U.S. Secretary of State Mike Pompeo is scheduled to visit Islamabad to meet new Prime Minister Imran Khan. U.S. frustration has boiled over before: President Donald Trump's predecessor Barack Obama authorized drone strikes on Pakistani safe havens and sent U.S. commandos to kill jihadist kingpin Osama bin Laden in his Abbottabad hideout. In March, a senior U.S. official said that Pakistan has "done the bare minimum to appear responsive to our requests," and concerns over a lack of action by Islamabad against militant groups still persist. Khan has repeatedly blamed Pakistan's participation in the U.S.-led anti-terror campaign for the surge in terrorism on home soil over the last decade and has vowed to rebalance Islamabad's relationship with Washington. Some analysts warn there may be no real way to pressure Islamabad and say a suspension in aid could see the U.S. lose crucial influence over Pakistan which will instead look to other countries for support, particularly its longtime ally China. Despite the provocations, the U.S. does not want to completely rupture its relationship with Pakistan, where anti-American sentiment already runs high.